Planning a ski vacation or getaway to beautiful Vail, Colorado this winter? There are a couple of ways in which you can get there when you book a flight, so it is important that you consider your travel options in advance so you can get out to the slopes for some memorable skiing. Booking flights in advance will save time so it is a good idea to check nearby airport that will help you reach your destination in Vail. The 2 primary airports travelers use to get to Vail are Eagle County Regional or (EGE), and Denver International (DEN). There are advantages and disadvantages to using each one, depending on factors like budget and time. Other factors should be considered including time of year when you plan to travel and weather conditions. Local ski reports offer good information that will help you prepare for your travels to Vail Colorado. The Eagle Airport is less than one hour away from Vail Valley, and for this reason alone, makes it an excellent option. The airport, though small, has sufficient gates and non-stop flights into the Rockies to handle any amount of travel traffic meaning flights can be found any time of the year. It is only about 45 min to Vail Resort and Beaver Creek Resort, both popular destinations for skiers. This will make getting to your skiing activities quick. Be aware, plane tickets are likely to cost more when you fly into Eagle as opposed to flying into Denver International. Denver International Airport is considerably farther away, about 2 hrs drive, from Vail. There is also the potential for road closures when weather intensifies which could create delays in reaching your destination. When planning your Denver to Vail travel arrangements, these are factors to consider, Denver’s airport is a popular option because flights are generally less expensive. And since it is a large airport, there are far fewer chances of weather delays. There still will be the need to travel the 2 hrs distance, but provided the roads are clear, this airport is a good option. Either route works to get to Vail for skiing activities. Using the Denver to Vail transportation will be more cost effective, but will be longer due to distance from the Vail Valley area. Whereas, flying to Eagle will put you very close to all that Vail has to offer including resorts and skiing opportunities. It is an active airport that offers non-stop flights. 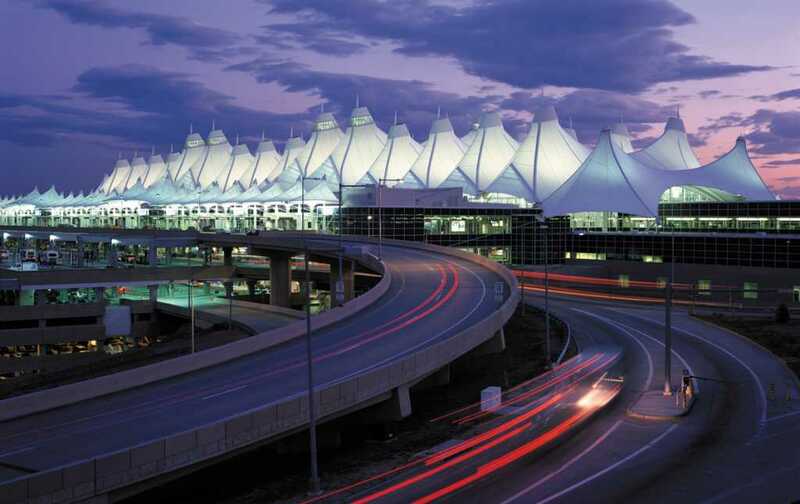 The cost of airfare likely will be greater flying to Eagle instead of Denver International. Choose the right options that meet your travel needs ahead of time to maximize your experience in Vail by doing adequate research for your particular travel dates, and you will not regret it.